It’s been a slow first leg of the 2013 Nereid’s Rally. Squalls, contrary winds and currents have made the crews work hard at reaching Guyana. 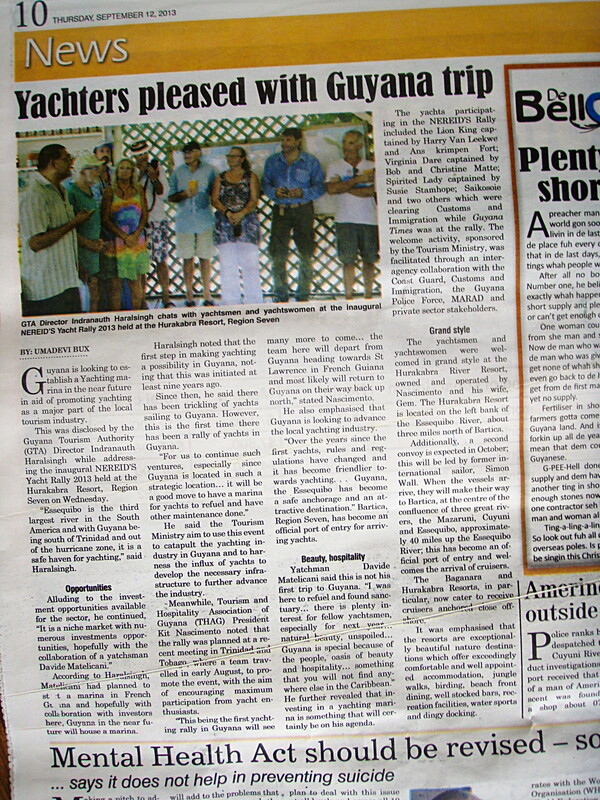 The Nereid’s Rally is front page news!! 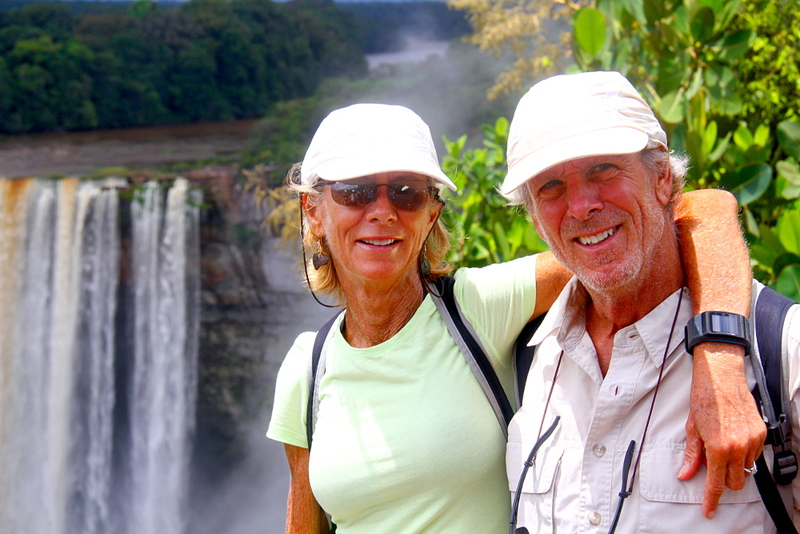 Eileen of Avoca, as expected, was the last yacht to reach the Essequibo River. The rest of the fleet had already been greeted at Roiden Rust and moved on to Hurakabra Resort where an official welcome took place on the 11th of September. Line honours for the first leg of the Nereid’s Rally went to Virginia Dare. Having started from Grenada, Bob and Christine thought they had to make haste to catch the rest of the fleet, but no matter how hard they pushed their yacht they never seemed to catch up. Now we know why. It seems they led the fleet from the start! At midday, the press, government, and tourism board officials arrived at Hurakabra in force for interviews and a welcome ceremony that can only be described as “one to remember”! The rally was literally front page news. 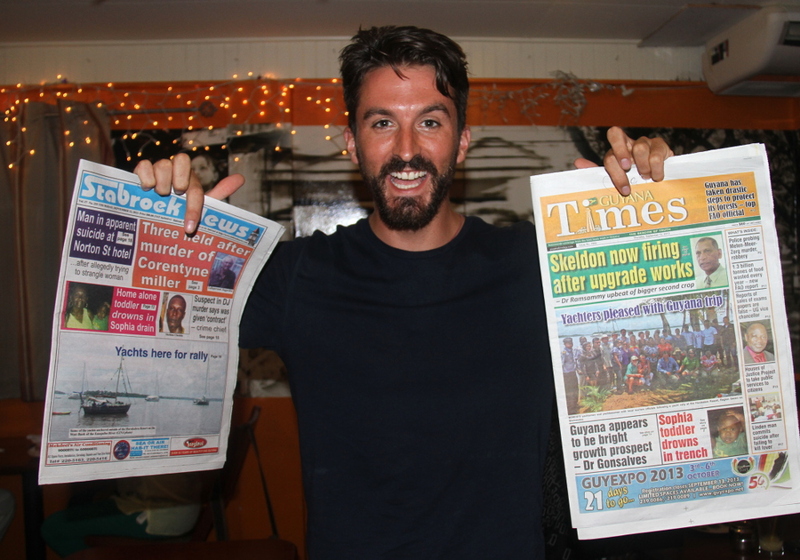 Evidently there is a burgeoning interest in yachting in Guyana as locals clearly wanted to know more about the rally that had sailed from the Caribbean. It made us all feel very special. 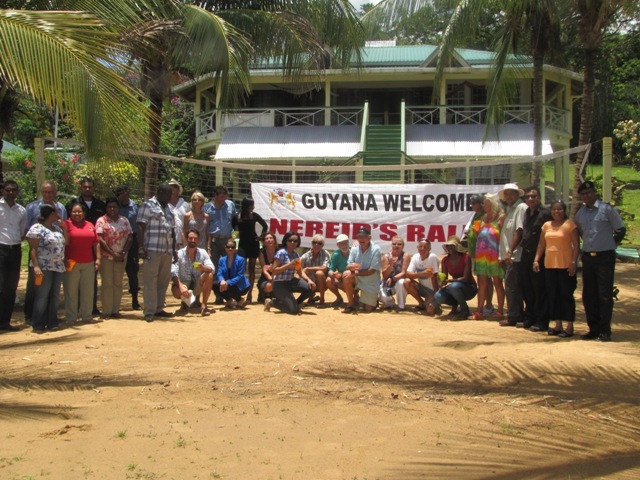 Guyanese hospitality is reportedly second to none and I am pleased to report that the crews of the Nereid’s Rally readily concur.